Born on the 20th of April, 1889, in Brannau, a town in Austria, Adolf Hitler was the 4th child of Klara Hitler and Alois Schickelgruber. Adolf Hitler’s early life was spent in Austria. He liked drawing; however, he was unsuccessful in passing the examination at the academy of arts. He then went to Munich and joined the 16th Bavarian Reserve Infantry Regiment of World War I, wherein he was gassed and wounded, and was also given an award for bravery in action. It was in 1919, after the end of the war, that Hitler joined what was known as the German Workers Party, which he later renamed as the National Socialist German Workers Party, which in turn was abbreviated to the Nazi Party. Soon, he took charge of the propaganda of the party and by the year 1921 he was made the leader. It was in 1923 that the National Socialist German Workers Party, led by Adolf Hitler tried to seize power, from the ruling German Weimar Republic, in the famous Beer-Hall Putsch. However, Hitler was unsuccessful and was imprisoned. It was during the nine months that he spent in prison that Adolf Hitler wrote Mein Kampf, or My Struggle, his autobiography as well as his manifesto. He then emerged from prison and became a populist spokesman for nationalistic and poor Germans. After that, in 1932, Hitler tried to become the chancellor by challenging Paul von Hindenburg in the election that was held, but could not succeed. Later, after the death of Hindenburg, Adolf Hitler became the Fuhrer and Chancellor, or Reichskanzler, in 1934. He at once set about establishing an absolute dictatorship, enforcing his newly formed rules with the help of the Gestapo, the brutal secret police. Concentration camps were set up for the organized killing of Jews, political opponents, and Gypsies. He then went about invading and annexing as much territory as he could in Europe, such as the Sudetenland and Austria, in 1938, and then invading Poland on the 1st of September, 1939, whereupon France and Britain declared war on Germany on the 3rd of September, thus beginning World War II. In the initial years of the war, Adolf Hitler, using the might of the German infantry and tanks to unleash a Blitzkrieg, had remarkable success, sweeping through large parts of Western Europe, with nations falling one by one to the great German war machine. Hitler attacked the U.S.S.R. in 1941, ignoring a non-aggression pact he had earlier signed with them in 1939. After initial victories, Hitler’s forces suffered crushing defeats, first at Moscow in December 1941, and then later in Stalingrad, in the winter of 1942 to 1943. It was in the month of December in 1941 that the United States of America entered the war. The Allies began their invasion of occupied Europe by landing on the French coast at Normandy Beach, in 1944. Then German cities began being bombed and destroyed and the allied troops entered Germany and made their way to Berlin by 1945. In the meantime, Italy, under the rule of the Fascist dictator, Benito Mussolini, who was an ally of Germany, also fell. During the war, many high ranking Nazis became desperate, and a number of attempts were made to assassinate Hitler, all of which were unsuccessful. In the meantime, the forces of the Soviet Union were also closing in on Berlin, which was the place Hitler had his headquarters. 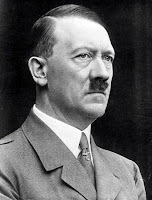 As it became quite apparent that the war was lost, and his hand-picked lieutenants went against his orders, on realizing the futility of continuing, Adolf Hitler committed suicide on the 30th of April, 1945. However, on the night before, he married Eva Braun, his long-term mistress, who also committed suicide with him. Thus came to an end both the war as well as Nazi rule. The official name of the Nazi regime was the Third Reich, which Hitler had bragged would last 1000 years, but it collapsed within a week after the death of Hitler. However, it can be said the Hitler was the one who was responsible for three of 20th century’s most climactic events: 1) World War II; 2) The Holocaust; and 3) The Cold War, which followed World War II. Plus, Israel would not have come into existence in the Middle East if the holocaust had not taken place. Adolph Hitler had a half brother named Alois Hitler, he owned a bar in Germany that was frequented by prominent Nazi officials. Alois would never share his opinion on Adolph because he was afraid Adolph would revoke his liquor license! Adolf Hitler had some Jewish heritage in him. His great great grandmother was Jewish who was a maid. "Quisling," which is used to describe a traitor, was the name of Vidkun Quisling, a Norwegian fascist and supporter of Adolf Hitler, who was appointed Führer of Norway in World War II. Arrested in 1945, Quisling was so despised, Norway broke with their centuries-old policy against capital punishment and executed him. Adolf Hitler was fascinated by hands. In his library there was a well-thumbed book containing pictures and drawings of hands belonging to famous people throughout history. He liked particularly to show his guests how closely his own hands resembled those of Frederick the Great, one of his heroes. Adolph Hitler kept a framed photograph of Henry Ford on his desk and Ford kept one of Hitler on his desk in Dearborn, Michigan. Hitler had used in 'Mein Kampf' some of Fords anti-semitic views, and he always welcomed Ford's contributions to the Nazi movement. In 1923, Nazi press secretary Dr. Sedgwick tried to convince Hitler to get rid of his trademark mustache or grow it normally. Hitler answered: "Do not worry about my mustache. If it is not the fashion now, it will be later because I wear it!" While dining with the others, Hitler will allow the conversation to linger on general topics, but after a couple of hours he will inevitably begin one of his many monologues. These speeches are flawless from start to finish because he rehearses them any time he gets a moment. His favorite topics include: "When I was a soldier," "When I was in Vienna," "When I was in prison," and "When I was the leader in the early days of the party." If Hitler begins speaking about Wagner and the opera, no one dares interrupt him. He will often sermonize on this topic until his audience falls asleep. Hitler’s handwriting is impeccable. When famous psychologist Carl Jung saw Hitler’s handwriting in 1937, he remarked: "Behind this handwriting I recognize the typical characteristics of a man with essentially feminine instinct." Hitler loves the circus. He takes real pleasure in the idea that underpaid performers are risking their lives to please him. Nearly every night Hitler will see a movie in his private theatre, mainly foreign films that are banned to the German public. He loves comedies and will often laugh merrily at Jewish comedians. Hitler even liked a few Jewish singers, but after hearing them he would remark that it was too bad he or she wasn’t Aryan. Hitler staff secretly made films for him of torture and execution of political prisoners, which he very much enjoyed viewing. His executive assistants also secured pornographic pictures and movies for him. He loves newsreels - especially when he is in them. He adores gypsy music, Wagner’s operas, and especially American college football marches and alma maters. To excite the masses, he also uses American College football-style music during his speeches. His rallying cry - "Sieg Heil!" - was even modeled after the cheering techniques used by American football cheerleaders. He is extremely interesting, in a psychological standpoint. He was a genius, despite what we see as insanity. One can not argue this, nor can one say he was not a brave man and a possible inspiration. Had he not been the leader of the Holocaust, he might have become a very respected man for the German people.